Just a few days before Apple takes the wraps off what will be its iPhone hardware strategy for the next year, some last-minute details from Apple’s manufacturing supply line are beginning to surface, including credible shots of future products. Today, an alleged shot depicting an unreleased iPhone model has been leaked onto the Web. 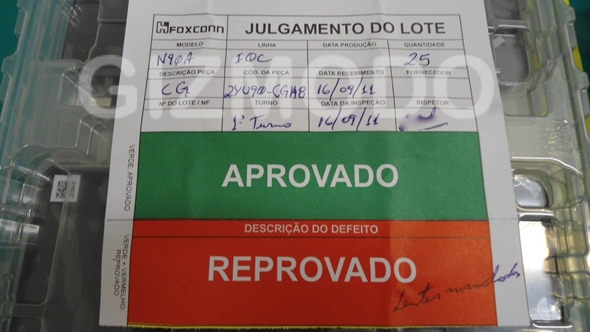 The device showcased in the picture above, allegedly captured at an iPhone manufacturing plant in Brazil, seems to look much like the iPhone 4, if not exactly like it. That said, some further inspection reveals a different model number, N90A, as opposed to the iPhone 4’s model number, N90. The small difference suggests that this device might be the long-rumored lower-end iPhone that is said to be hitting the market once the iPhone 4S/5 finally ships, much like the iPhone 3GS is currently sold as the iPhone 4’s lower-end sibling. It’s unclear whether a device like this will ever hit shelves, however. We know for a fact that this particular unit won’t, since it hasn’t passed the factory’s quality requirements due to a broken camera, as you can tell from the image below. Of course, this brings us to a bigger question: is Apple getting ready to ship a new iPhone model that essentially looks identical to its predecessor? Based on previous reports that have surfaced over the last few months, the iPhone 4S was expected to include several changes, such as an 8-megapixel camera (larger than the iPhone 4’s 5-megapixel one), A5 Dual-Core processor, 1GB RAM, while keeping the same design as the current iPhone 4. Now that iTunes 10.5 Beta 9 has pretty much confirmed the “4S” as the successor to the current iPhone 4 model, this leak from Gizmodo today means that we are probably in for a lower-end iPhone 4 option to go along the higher-end iPhone 4S. As with many major consumer electronics companies, Apple doesn’t manufacture its own devices: instead, it hires outside contractors, mostly based in the Far East, to assemble all types of devices ranging from MacBooks to iPads and iPhones. One of those large contractors is Foxconn, which has mainly assembled its products in China in the past, until it announced earlier this year that it would open a factory in Brazil specifically to assemble iPhones and iPads. 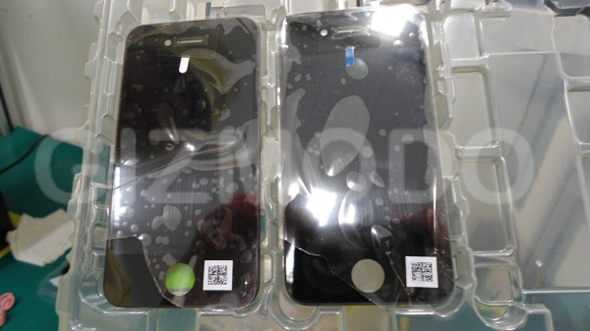 It’s widely believed that at least some of the new iPhone 4S/5, and the lower-end iPhone 4 units will be assembled in Brazil.